Have you ever been captivated by the sight of a beautiful mosaic and wished that you could create a mosaic masterpiece of your very own? Do you have a picture or a photograph that you just know would make a gorgeous mosaic tile pattern? 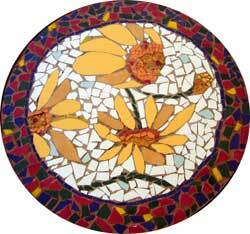 Perhaps you have always wanted to try your hand at creating your own mosaic design but never knew how? Find out how to make your own mosaic tile art! Here at Mosaic Tile Guide you will find all the information you ever needed to know about creating your very own mosaic tile masterpieces! Everything you need to know about creating mosaic tile art is presented in simple, easy-to-follow guides that help you every step of the way and ensure that you quickly learn all the tips and tricks of the seasoned mosaic artist. Also, here at Mosaic Tile Guide we give you the most comprehensive reference information on when and how to choose and use all the specialist equipment used in creating mosaic tile artwork! Making mosaics is fun and easier than you think! For all but the simplest mosaic tile designs, you will need to cut ceramic tile. We show you how to cut tile safely and with ease! Learn how to choose colour and balance the style of the mosaic tile to create a stunning piece every time! Laying mosaic tile can be tricky and it is important to get it right the first time. Grout is almost as important as the tiles in a mosaic. Find out how to apply grout correctly to ensure you always get the results you desire. Did you know you can create mosaics out of materials other than tiles? Find out about different types of tiles and tesserae and create something unique! You need to consider the tesserae, base, environment and more to make sure your mosaic will last the test of time! Find out about different materials that can be used as the base for a mosaic and how to prepare the surface for strength and durability. Available in many types and colours, grout can really enhance beautiful mosaic tile. Find out how to choose a grout that complements your design. Find out how to set up your own ideal mosaic tile creating workspace! Many tools exist to make mosaic creation easier, including specialised tools such as tile nippers. Find out what tools you need, and when and how to use them! Send us photos of your mosaic tile art! 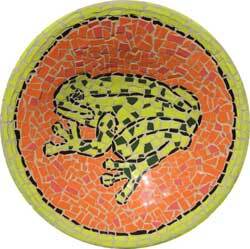 If you are a seasoned mosaic tile artist or even if you have only just started dabbling in mosaics, why not share your creations with other like-minded people! Simply take a photo of your mosaic tile art and submit it in the mosaic gallery section and your art will be shown online here at Mosaic Tile Guide!